After so much traveling it was nice to stay home andcook this week. Per usual, we didn’t stick closely to our meal plan. I forgot about a dinner planned with out of town friends. Then, Brett found out he had to take an overnight business trip. All of our meals were pushed back by two days. Oh, and tonight, when I defrosted the steaks we were supposed to have last night, they were funkily colored and smelled suspect. Instead we hastily placed an order at the local pizza shop. That being said, the Chickpea and Feta Salad we had on the side was delicious! The best meal of the week was the Mississippi Pot Roast with a side of Syrian Potato Salad. If you give any consideration to your heart health, you should probably avoid the Mississippi Pot Roast. Red meat. A stick of butter. Packets gravy mixes filled with salt. When put together, it’s the trifecta of heart disease. That being said, it was damn delicious. Even better, it took all of 30 seconds to throw together in the slow cooker. The Syrian Potato Salad is the perfect summer side dish. It’s mayo-free, so you can bring it to a picnic without worrying about giving your friends botulism. The mint, lemon and parsley combo tastes light and fresh. It was a good compliment to the deliciously death-inducing pot roast. As much as I hate to say bad things about other people’s recipes, I can’t recommend the spinach gnocchi or the apple pie-lets. Both require a ton of work without a flavorful reward. The apple pie-lets were a Hungry Girl recipe so I’m sure with a little tweaking (and a lot more Weight Watchers Points Plus) they could be delicious. 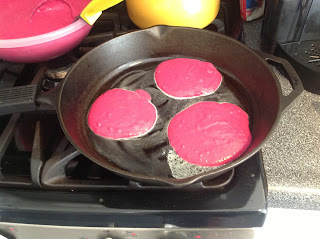 Oh, and if you are trying to sneak veggies into your family’s diet, check out my post over at Cincy Momster about the Beet Pancakes. Here’s what we are eating this week. Monday: Chickpea and Feta Salad and pizza that was supposed to be steak. 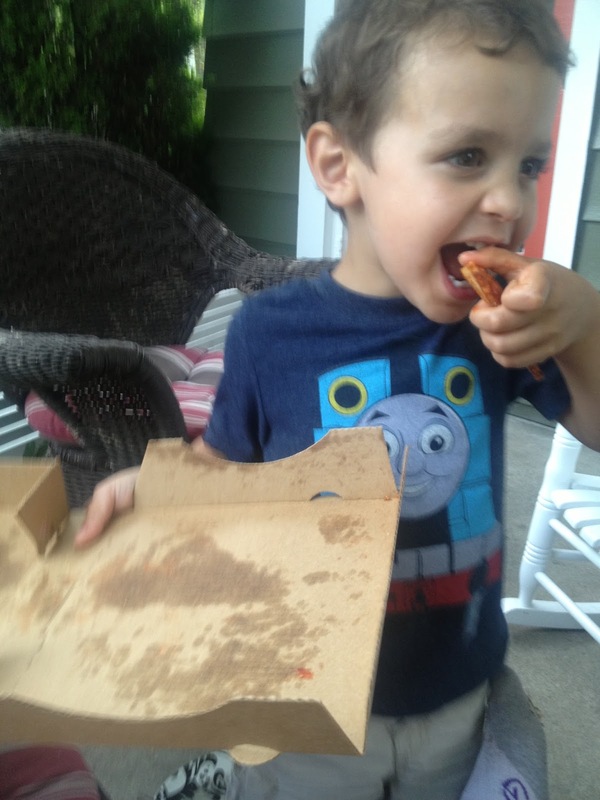 What’s your go to take-out or delivery place when a meal fails or when you can’t stand the mere thought of cooking? Wonderful! Keeps me smiling! I feel like you and I have just had a fun chat after reading your blog. Sounds yummy! I cook for all 8 of us now, so I may have to steal some ideas!